BMW now has a new meaning: Blade Nzimande's Wheels. Our illustrious and dearly beloved leader of the Communist Party has grudgingly (not!) 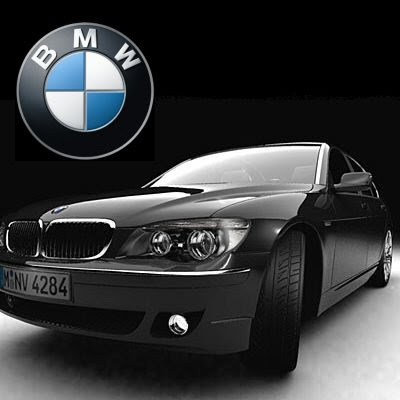 bought a 2009 BMW 750i as his "official" car, for a trifling R1,110,750. The list of ministers with new cars has outpaced the rate at which people are losing their jobs. I guess the ANC's slogan missed out a few words, and should really read "A Better Life For All Cabinet Ministers" since they clearly have no regard for the needs of the toiling masses. Personally, I could never understand why anyone would want to buy a vehicle that cost more than the price of a house. It's criminal to flaunt such extravagance when people are starving. And think about this: not even a millionaire could afford this car, unless of course he had an extra 11% and was willing to blow the entire fortune on a single purchase. You forgot about the extra 14% VAT.